The company making Nutribullet has been going through some tough times with some people reporting their dangerous encounters with the blender and others suing. One user wrote that, according to the overall marketing, Nutribullet was the perfect blender. Her family was not a big fan of smoothies and had not considered getting a blender. However, they thought Nutribullet was perfect, and so they got one. It functioned so well at first, and they had the smoothest and healthiest smoothies ever. However, they got over smoothies and kept the Nutribullet for some while. When they again tried to use it, the blender blew up, and their whole kitchen was hazy with the gas. She says that she did not report the incident and neither did she file a lawsuit. All she did was advise her friends against using Nutribullet. However, it was not just this user who had problems with their Nutribullet blender. More than two dozen people also had the same thing happening with their mixers with others even sustaining severe injuries. More than 24 people have reported these cases. In 2017, the late singer, Jenni Rivera’s mother, filed a lawsuit against the company. 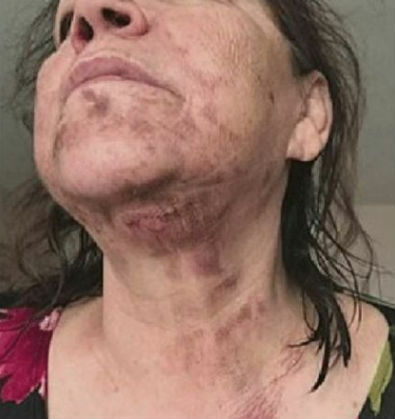 Her devices had exploded, and she got severe burns, ones that had her running to the hospital and into the emergency room. The injuries were excruciatingly painful. According to the lawsuit, the blender has safety risks and may cause injuries to the users, and worst of all, children who may be around when it is in operation. The suit also explains that the company is aware of the risk and has knowledge that the blender’s canister can pressurise and blow, but still the company does not warn users about it. In contrast, the company still stands by the quality of its product despite the cases piling against it. In fact, in a statement to CBS MoneyWatch, the company said that Nutribullet has no issues with safety and that it only answers to the needs of the users. They were also very categorical when they said that the exploding of the blender happens when the mixer is not used appropriately, for instance, using the device for more than a minute or by using it to blend hot or warm foods. They went on and said that many people use the blender correctly and have never had such experiences. In an attempt to prevent further injuries from explosions, author of 175 Best Superfood Blender Recipes: Using Nutribullet, Marilyn Haugen, shared her safety tips with Today Food. She said that first one should never blend for more than one minute. Using the blender for long can easily cause explosions. She, therefore, recommends that you should stop every 30 minutes, turn off the device, shake the container, then switch it back on. Secondly, you should not use the device to blend heated food. Marilyn also advised that you should avoid filling food into the blender to the bream. The most advisable amount of food to be mixed should be at 2/3. Filling the blender may cause the juice to flow and damage the mixer or even cause it to explode. Another significant tip is always to wash your Nutribullet after using. She also advised that it is essential to read the manual before using the blender.